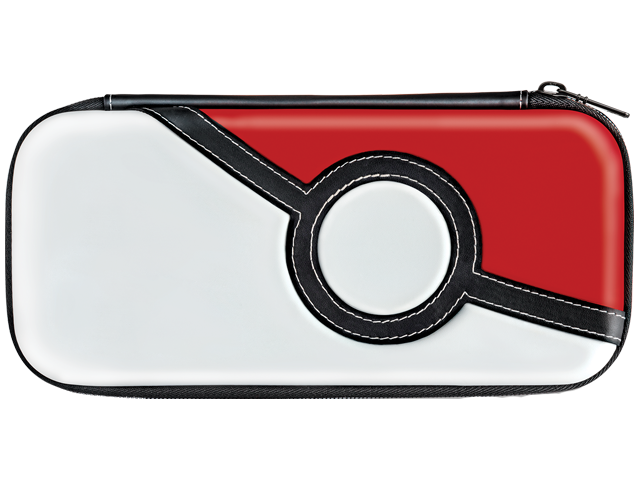 Catch 'em all in style with the Slim Travel Case - Poké Ball™ edition. Featuring an iconic Poké Ball design in embossed leatherette detail, this case lets you show off your Pokémon fandom in a fashionable way. Rigid EVA case with leatherette details. Stores console, up to 6 games and various small accessories. Features nylon lift strap to help easily remove the console.